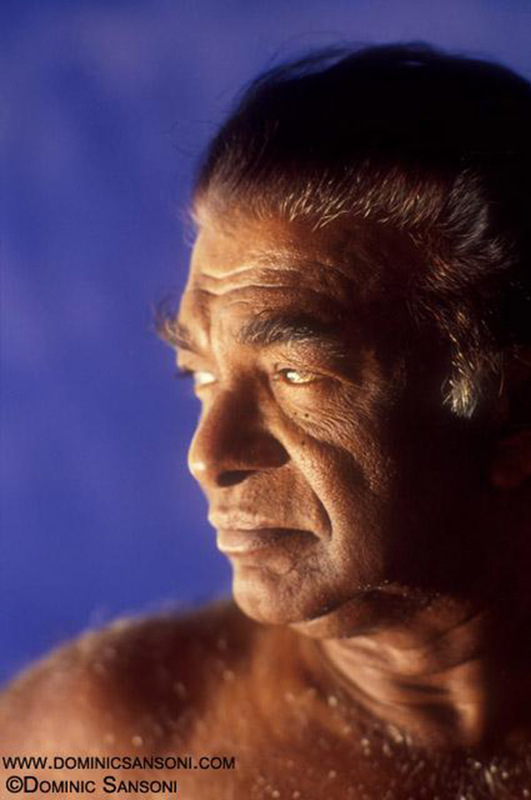 The Chitrasena Dance Company is Sri Lanka’s oldest dance company, and was established in the 1940s by Guru Chitrasena, who was instrumental in bringing Sri Lanka’s traditional dances from the village rituals to the modern stage. Today, the dance school and company continue to use traditional dance to create cutting-edge contemporary dance theater. Principal dancer Thaji Dias and artistic director Heshma Wignaraja share some of the history and legacy of the company and school, as well as what it means to bring traditional dance into the modern realm. Can you share a little about your own histories in dance and why you decided to carry on the legacy of Guru Chitrasena? Almost all of us in the family had a very similar introduction to dance when we were young. 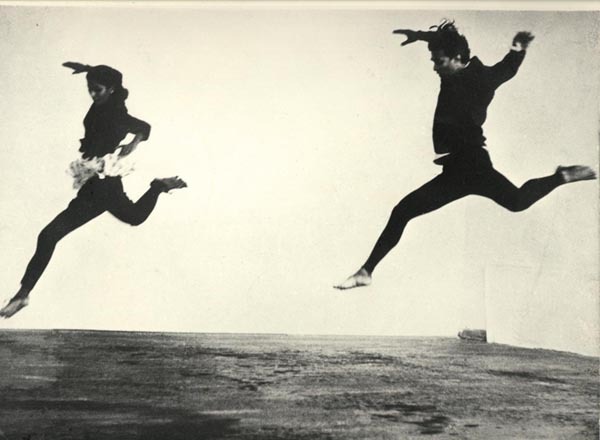 We were born into an atmosphere where dance was constantly around us. 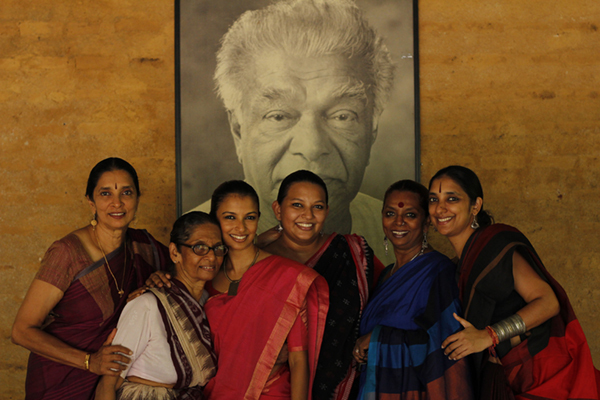 Since the 1940s, when the Chitrasena Dance School was situated on Galle Road, there were artists and people from different walks of life and from all over the world who used to just visit ‘the cultural ashram’ – that is what it was called. Some lived and worked there with my grandparents for months. My grandparents had to leave that house on Galle Road after almost 40 years amidst the country spiraling into a war. That time and those struggles are still unimaginable for me. They hired over 15 different spaces in and around Colombo and continued their work and the school, so there was never a moment when there was absolutely nothing happening. Even through the darkest of times in the country and with crushed souls without their dance ashram, within the family the dance still continued. Being born into an atmosphere like that naturally makes you want to be a part of everything that is going on. There were moments when your whole family was on stage! Your grandparents, parents, aunts and sisters were all part of a production and so you too dream of being a part of it, which is something so unique and beautiful. But even as adults when we made a conscientious decision to continue, for my aunts to dedicate their whole lives to this, for me to become a professional dancer, for my sisters to produce shows and run the foundation and continue my grandparent’s school and company, it was not only about keeping the Chitrasena legacy alive but it was also because that was what I/we truly loved and wanted to do. It is in the way we as the third generation of the company feel and practice our traditional art forms that matters. If we were not truly passionate about it, it would be impossible to do it. Our aim is to preserve our ancient art forms through contemporary theater practices and careful representations. We are innovating within the given frameworks and showcasing it through the lens that has now developed over 75 years as the Chitrasena style of Kandyan Dance, which is what we want to pass on to the next generation of dancers and teachers in Sri Lanka. How are the school and company run today? The school and company are run as two separate entities, which is how it was from the start. They both function out of the Chitrasena School of Dance which is on Elvitigala Mawatha in Narahenpita. My grandfather received this block of land in 1998 from then president H.E Chandrika Bandaranaike Kumarathunga to continue his work. But we were only able to complete construction of the dance studio and move there in 2007, two years after my grandfather passed away. The dance company has around eight part-time dancers and four part-time drummers. When it comes to dancers, earlier the company mainly consisted of members who had learnt at the Chitrasena School itself for at least 10 to 15 years. Now we have other ways of enrolling dancers. There are several different scholarship programs we offer to talented youth who have a burning passion to make a career in traditional dance. Every program we offer has a minimum of two years intense training in traditional dance, music and drumming, after which they are evaluated and, if they wish to continue, they are selected for individual scholarships. They follow a modern take on the guru shishya-parampara approach where they become performers, teachers and production assistants while serving the dance school in any area of work assigned to them. The company tries to do one major production/performance a year locally but it is a challenge as most of the time we have to find our own sponsors and organize our own performances. There aren’t any professional dance festivals in Sri Lanka where traditional dancers are invited to perform other than the platform created by the Goethe Institute. There are very few opportunities for artists working within the traditional framework to showcase their work in a professional and dignified manner. The most thriving option is the path of commercializing it, performing at weddings and hotels or venturing into reality television shows and competitions and so on which is something we have kept away from and will continue to as it is against the philosophy of our company from its inception. We try to take on two to three international tours a year. At present however, we do more informal performances for a limited audience at the dance school premises itself, where we are able to create an intimate atmosphere, giving the audience a carefully curated experience. Since we are only able to cater to a limited number of people, we are using this concept to also travel around Sri Lanka, sharing the Chitrasena style of dance and teaching methods through lecture demonstrations for schoolchildren and teachers of dance. The Chitrasena Dance School was founded in 1944 and currently has around 400 students who come to learn from us once a week. The classes are divided according to age groups starting formal training from the age of 7. We also offer a fun introductory class for under 7’s (starting from 4 and a half years) called the Punchi Paada (Little Feet) Program. We also offer classes in drumming, dance theory, Indian classical and folk singing, and our yoga and fitness classes are open to the general public. Other than that, we have different scholarship programs as I mentioned before for students who have prior training in dance and wish to continue it as a profession, which are usually at least three full days a week. Has the training changed since the founding of the school in the 1940s? Yes, both the training and technique have evolved with time. When my grandfather started the school in the 1940s, there wasn’t a formal structure or a particular method to the training, I believe. The method used was the way it was taught in the villages where you begin your traditional exercises using the barre, after which you dance behind your teacher watching your teacher’s every move. Then you have to memorize as much as you can and learn through repetition. You would be lucky to be taught something new. You had to earn that. Becoming a dancer was not just learning to dance; you had to also understand the intent and responsibility of the priesthood. After years of learning, if you were able to prove yourself, you get ordained as a healer and evolved person. This was the method of training and purpose of a ritual dancer. The ritual dance has also evolved but it is still the most traditional representation of the form today. They are performed throughout the night to cure illnesses of the people, ward off evil in the community, and to bring prosperity to the entire village. When the dance transitioned to the stage, the technique also transitioned in one sense. Thus the training was built around understanding how to adapt a ritual form to the stage. After my grandmother Vajira started studying under guru Chitrasena and subsequently began performing onstage, she saw the need to create a solid foundation in understanding the body, space and time. 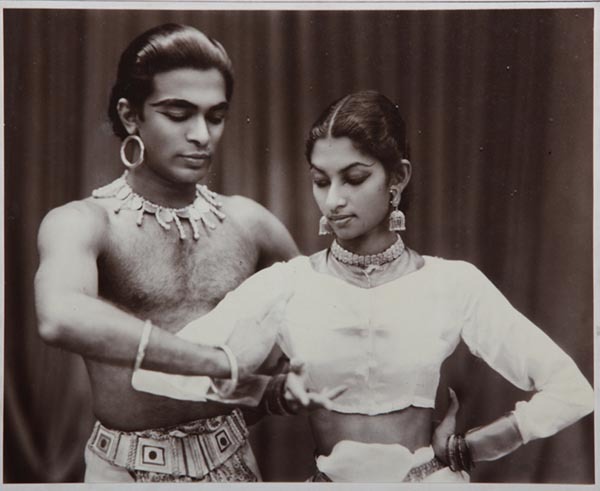 Thus, she created a unique syllabus of exercises based on the Kandyan and Kathakali techniques during the 60’s and 70’s after being inspired by her foreign travels and meeting other classical artists. So in our school, we have an entire year or two of preparation work before undergoing the traditional dance training. For example, the main stance in the technique known as the ‘mandiya’ (a square seated position) has a specific terminology used traditionally to measure the distance between the feet. But such words seem to have been interpreted in many different ways. For the stage however, the training has become more uniformed and precise. Line and form have become extremely important. As a result, the Chitrasena Dance Company and school have now established its own signature style. Sri Lanka traditional dance was originally performed by men, but now females can study and perform as well. Has introducing female dancers changed the technique? 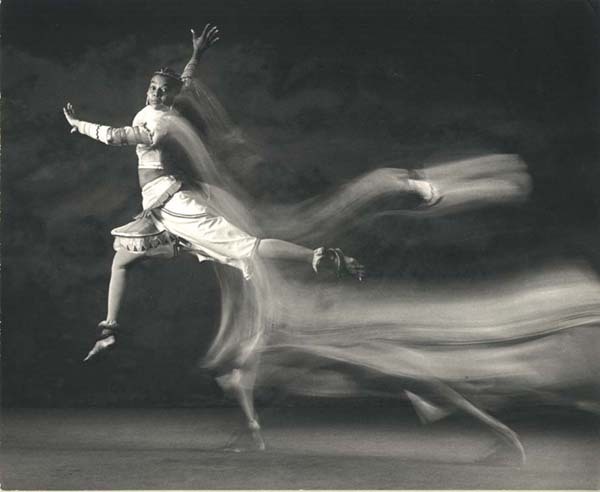 As a dancer, I feel it is not about being more feminine or masculine. It is about who you learn from and what your teacher demands of you that firstly molds you. Once your teacher feels you have had sufficient amount of training within the technique, it is in the hands of the dancer to find the strength or essence in the dance which suits him/her best. Has Sri Lanka traditional dance become more or less popular with the public over the years? And has social media affected general interest since it is easier to share videos and photos now? Yes, Sri Lankan traditional dance has become more popular amongst the public over the years. After it was brought on to the stage, there has certainly been more interest and enthusiasm to learn and appreciate something that is so uniquely Sri Lankan. On the other hand, what sells on social media platforms is anything but traditional dance. Having non-tangible ways of learning dance has not only given access to shallow shortcuts and learning many different dance forms in small measures, it has taken the life out of the dances. Not just audience members, even the artistes themselves are confused over what genre they are seeing or performing. ‘Fusion’ – incorporating many different styles of dance – has become a popular means of entertainment in Sri Lanka. Sadly, this is what is in demand and has become the more financially viable path for many of our artists. So social media and television feeds into these trends. Hence, it is becoming more and more difficult to find serious traditional artists now. Do you believe that creating fusion dances mixing more contemporary techniques with more traditional techniques endangers the preservation of traditional dance? Or is it important to fuse dance forms for them to stay relevant? Would you ever mix two or three different languages together when writing an article in order to make it relevant with time? Our aim as the third generation of the company is to find the best way to innovate within the framework of the technique without losing the spirit and essence of the form. What types of venues does the company most often perform in? How does the venue affect the presentation and experience of the dance form? In the ritual setting in the villages, the dance is performed inside a long narrow hut made of natural resources. The hut is built in the garden or on the thrashing ground of the paddy fields. The hut is open from all four sides with the audience sitting on three sides while the alter to the gods is built facing the north. The dancers perform to all four sides while calling the gods to their realms. The Chitrasena Dance Company has mostly performed on proscenium stages. We have also performed in other experimental non-traditional theater spaces and, in these spaces, the audience experience is carefully thought out and executed. We ensure that the dance is never compromised. What are the greatest challenges facing the preservation and legacy of Sri Lanka’s traditional dances? The greatest challenge we face as preservers of tradition on the modern stage is the grueling task of passing this art form on to the next generation. Living in a fast developing day and age, more and more youth find it difficult to have the patience, time and commitment needed to learn and immerse themselves in a deeply rooted art form. These ancient art forms demand time, humility and honesty. It also requires heartfelt respect and gratitude to the guru who imparts knowledge. Financial constraints have also become a reason for artists to make their work more commercialized. We have come to a time when we are only left with a handful of traditional gurus who have been nurtured through the gurukul system, who are still working and able to pass on their secrets to those who are interested to learn. They are living in rural villages without sufficient support or exposure. My grandfather always said, “The new is but an extension of the old.” Without our roots, we cease to have a meaningful existence. We dedicate our time and energy to finding the most meaningful way to celebrate the continuity of this art form in modern times.